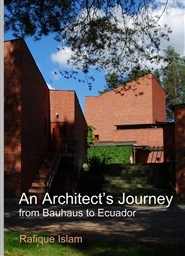 Collection of recent travelogues about significant architectural landmarks. This volume contains travelogues about colonial mansions of Calcutta, Modern monuments from Ahmedabad, Oslo, Berlin, Toronto and Los Angeles. Each location with its unique backdrop of culture and history forms the basis of the visits. Architect Rafique Islam has traveled across the globe from Iceland to Ecuador to see significant works of architecture. This travelogue describes the journey along the way. 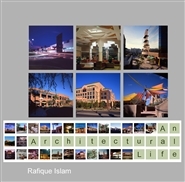 Arizona Architect Rafique Islam's life and work described as an interwoven story. Many projects such as Hayden Square, PV Mall and El Pedregal are explained as a process from concept to final completion stage. 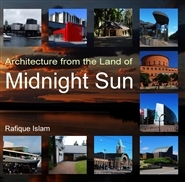 Travelogue about architecture from Scandinavia during summer solstice. From Woodland Cemetery, Public Libray and Moderna Museum in Stockholm, Aalto Museum in Jyavskla, Sayanatsalo City Hall, Seinojaki Civic Center, Rovaniemi Civic Center, Finlandia Hall and Academic Bookstore by Alvar Aalto, Kisama, in Finland, Norwegian Oil Museum, Oslo Opera in Norway, Black Diamond, Royal Danish Opera in Denmark are all visited on the way to see midnight sun in the Arctic Circle in Finland. Illustrated with many photographs describing the trip. 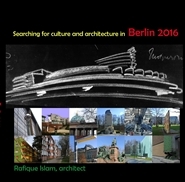 Visit to Berlin in 2016 to see Bauhaus classics is chronicled in this book. In addition to architecture, cultural and historical items are also included. Peter Behrens, Erich Medelsohn, Bruno Taut and Le Corbusier's buildings in Berlin from century ago as well as newer additions to Berlin architecture were visited and the visits are described in detail to give the reader a realistic impression of their design. 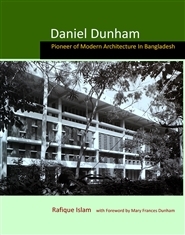 Daniel Dunham arrived in Dhaka at a critical time when many institutional and government jobs required the services of private firms. As head of the local branch of Berger Consulting, he designed many pioneering buildings in many parts of the country. He left a legacy of uncompromising modern architecture in addition to his teaching at the newly established Faculty of Architecture in Dhaka. This book is a compilation of his work from the vast collection of drawings, photographs and notes he left behind. 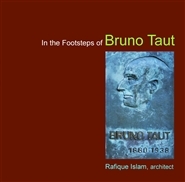 Bruno Taut was a German architect known for his visionary writings, socially responsible, colorful and location specific architecture. After designing more than 10,000 units of housing in Germany, he was forced to leave Germany before Second World War and settled in Japan. His writings about Japan has prompted reassessment of traditional architecture in Japan and left lasting influence. At the end of his life, he settled in Turkey to head the Academy of Fine Arts in Istanbul. His tenure at AFA and educational buildings in Turkey has set new guidelines for the profession. 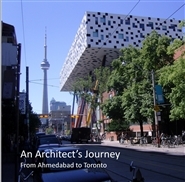 These stories are complied from last few decades of traveling to see architecture. These are experiences based on cultural and human interactions. The settings are Arizona, Norway, Turkey and Dhaka. 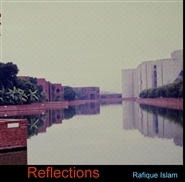 Reflections are sometimes more vivid than the real objects or events. The names have been changed but these are based on real events and experiences. 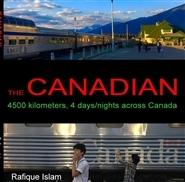 Travelling on the legendary Canadian across the continent from Vancouver to Toronto. Four days and nights enjoying the scenery, food, conversations and the experience of a lifetime. Description of the journey illustrated with 200 images from Pacific coast, Rockies, plains and lakes. 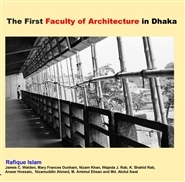 Book about the history, background and the personalities who established the Faculty of Architecture in Dhaka during the 1960's. The first dean, students and teachers have joined together to document the early days of the Faculty of Architecture. Valuable and rare photographs from Mr. Vrooman's collection as well as the USAID and Texas A&M archive have provided glimpse into the founding of the building and institution that has sparked a new profession in Bangladesh.